The Romanian Orthodox Archdiocese in America and Canada is an overseas archdiocese of the Church of Romania. The Archdiocese came in existence in a restructuring of the original Romanian Orthodox Episcopate of America formed in the 1930s. The restructuring resulted from the impacts of controls placed upon the Church of Romania by the communists government that governed Romania after World War II. As in other eastern European countries at that time the communist government of Romania attempted to exert political control over elements of Romanian institutions located outside the country. As in similar situations with other Orthodox Churches with "overseas" communities, the government used the indigenous Mother Church to control the "overseas" communities. In the case of the Romanian Church, the American Episcopate was dissolved after a majority of its members would not accept directions from the communist controlled Patriarchate. Then, the new Romanian Orthodox Missionary Episcopate in America and Canada was formed with a new, patriarchate-appointed bishop. The current ruling hierarch for the Romanian Orthodox Archdiocese in America and Canada is Archbishop Nicolae (Condrea). His see is in Chicago, Illinois. 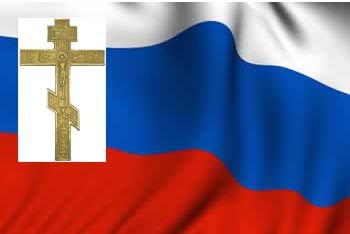 The Romanian Orthodox Archdiocese in America and Canada is a member of the Standing Conference of the Canonical Orthodox Bishops in the Americas (SCOBA).